"I hadn’t even known about Phish for long. 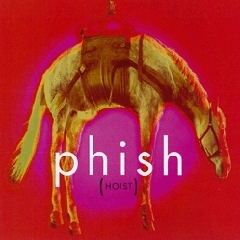 My mate Stuart had given me a compilation tape “1 Hour Of Phish” that I listened to in my car a few times on my daily commute to work and found it strangely growing on me - despite not being at all like my usual preference for all things Brit Invasion-influenced and power-pop. The songs were long, and veered dangerously close to unhip prog, and where there were lyrics I found them a bit silly if not to say embarrassing. Oh, and the singer didn’t have much of a voice either.... but still I kept being drawn back to this tape and particularly the longest track “You Enjoy Myself”. How do you describe this music? It’s not really a ‘song’ is it – certainly not in the classic verse/chorus/middle eight/chorus sense. I was unaware that they had already played in London twice in the preceding 12 months and was again (and eternally) indebted to Stuart who bought prime location box tickets for their Summer Tour ’97 show at the Royal Albert Hall. 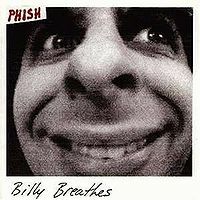 I still knew nothing really about the band although by now I had copies of Billy Breathes and Hoist. -	I recognised almost none of the songs, didn’t get the YEM or Stash that I’d been hoping for, and my concentration drifted for long periods at a time as I looked around the hall and just thought how strangely different this was to the last time I was there, or to a typical gig experience of the time which would have been something like Oasis or Primal Scream. -	I came away thinking that I’d seen something I’d never seen before. Now, I would describe it in terms of ‘tension and release’ and I would have much more of a sense of the song selection, and the crowd’s awareness of old classics, bustouts, debuts, and the general flow of the set, but then I was left fascinated by what it was that the band were doing that caused a song to slowly and almost imperceptibly rise up in intensity, carrying the audience mood with it, with the band and the audience feeding off each other, until hitting an orgasmic peak... then calming again until at some point later slowly building again. How did they know to come back in from a jam at just the right moment? They seemed to have a telepathic understanding with each other. -	I tried to describe to people afterwards how this was such an unlikely band to have such a devoted following. This was not a hot-looking NME band of trend-setters. This was 4 scruffy, bearded, relatively-old (or old-looking) musos, with very little ‘show’ and virtually no spoken interaction with the audience.... yet there seemed to be an unusually high percentage of females in the audience. The thing I find most strange now is that I don’t particularly remember anything regarding the lightshow. Was CK5 around for that tour? Looking back on it now with the benefit of another fifteen years and an audience tape of that night, what an amazing show to be at.... and a stat collector’s dream. 19 songs – 8 of which hadn’t been played before the two Dublin shows a few days earlier. The first (and there has only been 1 other ever) performance of ‘I Don’t Care’, the second-ever performances of ‘Water In The Sky’, ‘Olivia’s Pool’ (or ‘Oblivious Fool’ at this point), Ghost’, ‘Wading In The Velvet Sea’ and ‘Dirt’, and the third-ever performances of ‘Dogs Stole things’ and ‘Limb By Limb’ – not to mention only the seventh-ever performance of ‘Beauty Of My Dreams’. Have there ever been shows with anything like the number of bustouts as those first three Summer ’97 shows?!? Highlight of the show is a Reba, which is just beautiful and is the jewel of a second set of all new songs before closing with a majestic Hood. Everyone was convinced they would encore with ‘A Day In The Life’ but having done that at the Shepherds Bush show the previous July they went for Cities instead - “Think of London...” - before a romp through Poor Heart to close. A review on Phish.net says “….Overall not a bad show, playing was good I just thought it lacked inspiration which I thought would be the easy part being in Royal Albert Hall”...... and it does feel slightly lack-lustre, which may actually have had something to do with the setting. The Albert Hall is an amazing venue in many ways –– after ‘Taste’, Trey says “Thank you, what a beautiful room, thank you for being here, it’s just incredible...” - but it can also be a bit intimidating and sterile. It is also almost-always a sellout, but for this show was only half-full (max capacity 5,250 – on return to the States, Phish would go back to playing to 20,000 every night). Outside afterwards, I scored a Doniac Schvice – very impressed that this ‘unknown’ band had such a cool publication. I don’t think we hung around long and I don’t remember us talking with any of the heads thereabouts so I didn’t really appreciate how many of them must have already been to the two Dublin shows and would be setting off in the morning for the next show, 3 days later in Vienna. I was also unaware at that point that I was on my way down the rabbit hole towards a full-scale addiction to the Phish"
This was a pretty underwhelming show considering the venue. There was one great moment during set break, a prim and proper woman came on stage and made an announcement in her very British accent, "Ladies and gentlemen, please be advised that smoking is NOT permitted in the Royal Albert Hall." This was met by a rebellious roar from the mostly American crowd. Third show of the European stretch of Summer '97 and we're in a historic venue -- The Beatles played here multiple times in the '60s, and one of my favorite Jimi shows was played here as well (2/24/69). Would Phish pay homage? Would they play ADiTL? Did they figure out how many holes it takes to fill the Albert Hall? The short answer is no, they did not. This show is the epitome of the rapid metamorphosis of the band's sound. 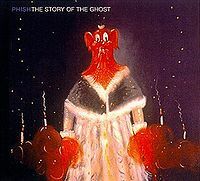 On the European Winter Tour in 1997 they started going deep on a lot of their repertoire, but they hadn't yet introduced the Story of the Ghost material -- by Fall, they were going deep on *everything* including the new stuff. But on the Europe Summer Tour, it was sort of a mix of the depth on the old stuff and, at least in these first few shows, a palpable tentativeness on the newer material. Tonight's show they played Dogs Stole Things for the third straight show, and were clearly trying to do some battle testing on these new songs by straight repetition. The reason this show doesn't get much hype is because they didn't take anything too deep, new or old. That being said, Taste is typically great (by '97 they were *killing* Taste -- check out the lightning storm version from 7/22, the awesome Gorge version from 8/3, or the 12/30 version that Trey just *shreds* -- there are many other great renderings in Summer and Fall as well though!). The first set highlight is probably the Wolfman's -- damn this tune really blossomed in 1997. Ghost goes a little deeper than in its debut, and again segues into another debut. The Reba is a real blue-baller -- just when it seems like they're about to break into a full on Reba funk jam (?! ), Fishman mashes the toms signaling the end -- too soon! After Reba they pull the double slow song -- *hate that* -- even though I like Dirt just fine. Velvet Sea is a tough one for me. I think it's beautiful but I can't not think about Coventry every time I hear it. It's a sad song now... Anyway, it's always good about Hood, and a short Cities ("Think of London! Small city!" -- reminds me of my best in-attendance Cities experience: the 8/6/10 "Home of Elvis / and the / Ancient *Greeks*!") and Poor Heart encore brings us home. I was hoping for something more special given this special venue, but I guess it was not to be. In fact, the beginning of this tour starts a little slowly, and then they have a couple festival sets, but then... comes... Amsterdam! More on that when I get back there in my listening adventures. N.B. These AUDs are great so far! Taste is very strong and well played. A top tier Theme in terms of playing. Wolfman has a nice mellow '97 style jam to it. Besides that the rest of the first set is fairly forgettable. LxL is the best version yet with Fishman all over it. Ghost dips a little deeper into experimentation but not too deep. The "I Don't Care" sequence is pretty cool and seamless. Strong Reba not peaky or particularly beautiful but well played. Hood is strong and pretty. Cities is always a welcome encore and this one is short but pretty sweet. Overall more messing around by the guys implementing there new songs into their sets. It doesn't make for anything noteworthy or memorable but still a well played show. 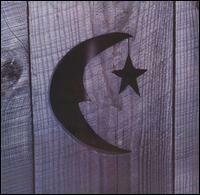 @phishfillet -- that's not quite a Franklin's Tower tease, but it's likely an allusion to it. It's gotta have that V-IV-I-IV-V structure and the I never makes it in there... but the strumming and phrasing are spot on! With the setting being Royal Albert Hall I expected two things, one the band would bring it! And two, they would NOT play anything by The Beatles. As good as they cover the Beatles, I don’t think they would feel confident enough to cover them at this venue. Having said that, on to my review of the show. Once again, nothing scientific or in depth here, just my opinion on the music. Like I said before, I thought they would just rip it in this venue, but the first set was basically filled with standard versions of old songs and “carefully played” versions of new songs. Highlights for me were Taste and a pretty funky Wolfman’s that showed signs of what was to come for the rest of ’97 and into ’98. The second set was better, not great, but no doubt enjoyable. Ghost >I Don’t Care>Reba was nice, and I thought I heard a Franklin’s tease around the 12:10 mark in Reba? Solid Hood to close out the set, and then the encore. Overall not a bad show, playing was good I just thought it lacked inspiration which I thought would be the easy part being in Royal Albert Hall.